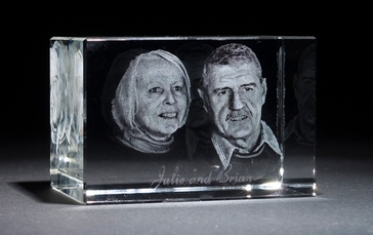 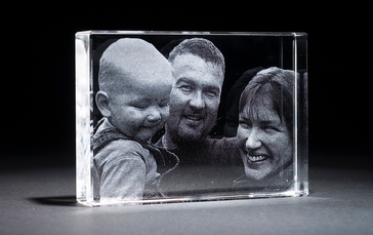 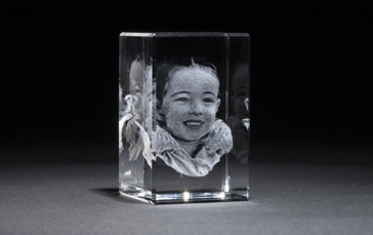 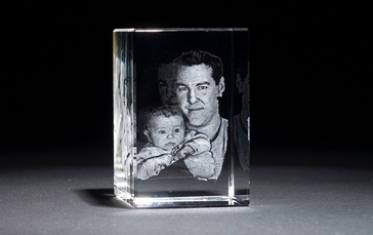 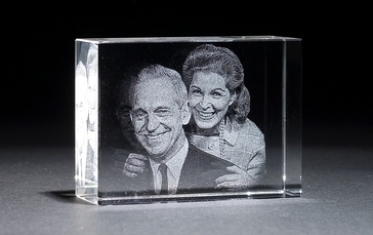 You can have your photos engraved into a crystal as a flat, 2d image. 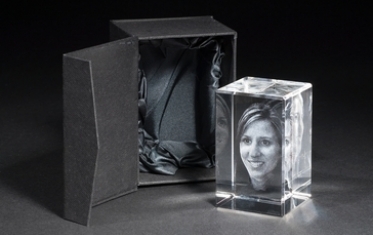 Send us your photos and we'll create 3d portraits from them. 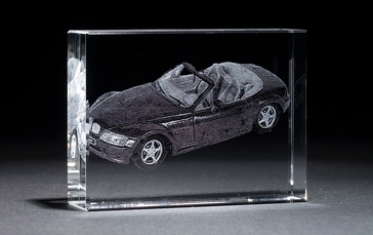 We use 3d modelling software to sculpt a model for 3d engraving. 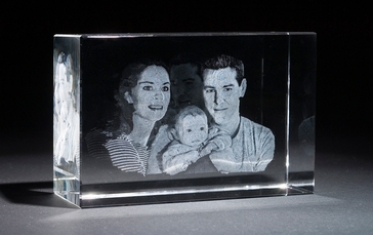 For best results, the people in the photo should be facing towards the camera.